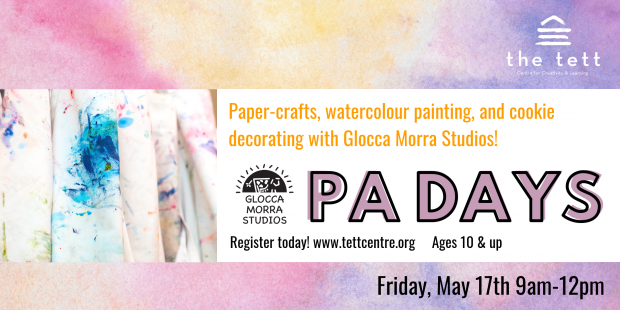 Join Rhonda Evans and Adele Webster from Glocca Morra Studio for a fun morning of paper-crafts, watercolour painting, and cookie decorating at the Tett Centre. Register today! Please register via Eventbrite.